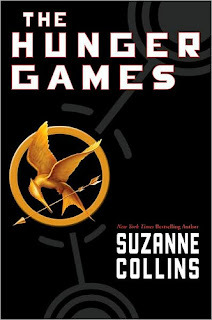 Since a theme of late seems to be me reading in mediums other than physical books, let me just say that I "read" The Hunger Games (Scholastic Press 2010) as an audio book while driving to and from Charleston this week. My boyfriend reads comic books voraciously; "real" books, not as often, but this series hooked him. He explained to me excitedly that the trilogy told the story of a post-apocalyptic society where 12 districts were controlled by the Capital, and each year two children are randomly selected from each district to fight to the death in an elaborate, televised, weeks-long battle. I was skeptical, but a combination of his ravings about the book and an article about/interview with Collins in The New York Times Magazine piqued my interest almost but not quite enough to read it, and a road trip closed the gap. Caution: this book is violent. Viscerally, graphically violent. The idea of a tween or teen reading this book makes me nervous. On the other hand, Collins claims in her interview that part of the point is to make violence real for kids who probably grew up playing violent video games and for whom violence involves animated blood that dramatically splatters on the screen and then disappears. On that note, there are 2 things I appreciated about this book, one general and one specific. Both have to do with reflecting critically on how we become spectators to violence. The general observation came first from Gary before I read the first book. As you watch characters as young as 12 being forced to battle to the death while being deprived of food, water and safety, you find yourself reacting with anger toward the Capital—for devising such a cruel sport, even more so for enjoying it, for watching and betting on the bloody deaths of teenagers. But, at some point during the Games, you realize that you're watching, too. You want to know who's going to die next. You are participating in the very spectatorship that you despised. The more specific observation is related. A short flashback in the book describes how Katniss, the main character, one day was surprised in the woods by a girl and a boy, both obviously fleeing from danger. The fugitives cried out for help, but Katniss and her friend Gale do nothing, and the pair is captured as they watch. In reflecting on this memory when she later comes in contact with that girl, Katniss recalls that the experience was almost like watching the Hunger Games. I latched onto that: watching violence from afar, violence that you are neither expected nor able to do anything about, cripples your ability to do anything about real violence when it occurs. The bystander effect is compounded when the bystanders are conditioned to embrace and believe the role of spectator or vicarious participant, never given the option of intervening. My friends and colleagues (one of whom was my professor for Christian ethics this past semester) Kara Slade and Amy Laura Hall are currently editing an article for The Other Journal on the books, and on young adult dystopian fiction more broadly. Kara was kind enough to share the draft with me, and I'll post the link in this post once it's public. Both of these incredible women point out the deeply problematic issues of horizontal competition (literally to the death) and spectating/participating in violence. These two are smarter than I and I agree with their assessment, but I think I would bring my reaction and theirs together by saying this: don't let your teenager, or any teenager you know, read this without a conversation partner. 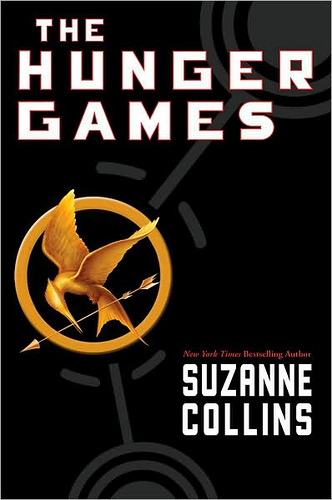 There's some pretty interesting stuff in The Hunger Games that I found a helpful, critical mirror to our society, but I don't know that I would have understood anything more than the competition and violence had I read this at 13.